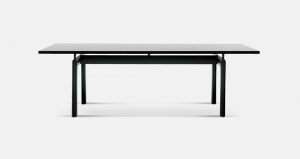 The new Lebeau table is an evolution of the original project designed by Patrick Jouin and part of the collection since 2003. The new design which maintains the original shape and size of Lebeau, revolutionises its use of materials. Through the use of solid wood, Lebeau Wood takes on a new personality and acts as the fine centrepiece of a room, the expression of Cassina’s consummate production expertise. Here the most modern and sophisticated machinery is combined with the manual skill of the craftsmen who manage each stage of production. 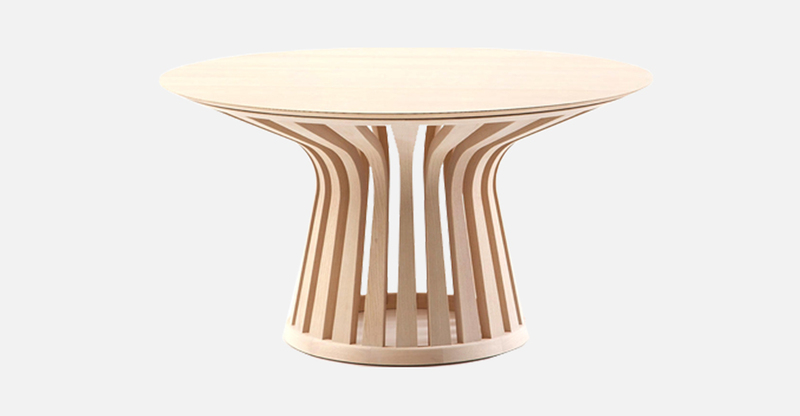 The base, produced entirely from solid ashwood, comprises 22 staves, processed with the curved solid ashwood. The staves are joined to two crowns, also in solid ashwood, one of which forming the base and the other supporting the table surfaces. 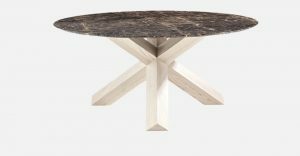 Each stave is attached using joints specially designed to ensure the stability of the table. Once assembled, the staves are smoothed by hand and painted to maximise their aesthetic appearance. The finishes for the base comprise four versions of ashwood: natural or stained natural, black or walnut stained. 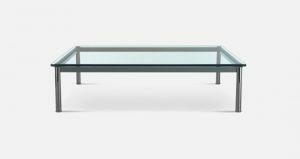 The surfaces come in two versions: in 12 mm (0,47”) thick, Ø 140 (55.1”) and 160 cm (63”) extra clear glass, or in the four solid ash finishes, like the base, in a single size of Ø 140 cm (55.1”).